For obespecheneNoticesSecurity RocketSecond shooting in the sea came out more than 10 surface ships and support vessels of the Caspian Flotilla. During the period of martial exercises made the notification of all ship owners to close the landfill for marine navigation. 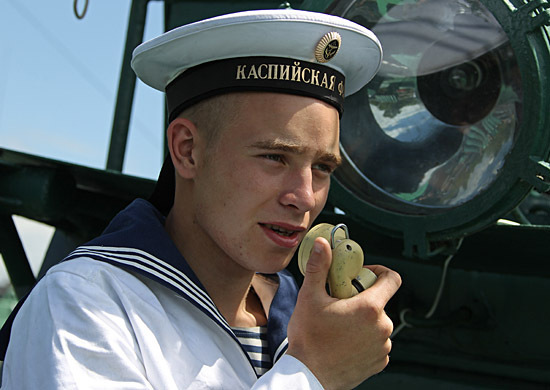 Closure of the landfill sea patrols carried out by ships of the Caspian Flotilla in a designated area. 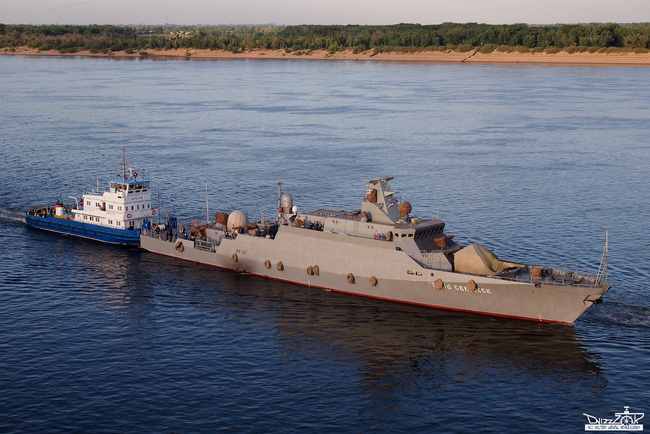 Small missile ship "Grad Sviyask" Project 21631 "Buyan-M" is a multipurpose vessel of "river-sea", equipped with the most modern types of artillery, missile, anti-sabotage, anti-aircraft and electronic weapons. This is the second ship of the Russian Navy, armed with a versatile missile system 'Caliber-NK ", able to use several types of high-precision missiles, both at surface and at shore targets at ranges of up to 300 km. The architectural appearance of the ships meet the requirements to reduce the radar signature. The ship is designed to protect and defend the economic zone of the state.